We are a cooperatively owned and managed martial arts studio specializing in martial arts and fitness classes for all ages, fitness and ability levels. Whether you are an athlete looking for new ways to cross train, or you have never ever exercised before and you're terrified to join a class, we will help you to reach your goals. Our instructors are exceptionally qualified and put a strong focus on individual attention. Our students are not here to compete; they are here to have fun and to better themselves. If you are looking for a fun way to get in shape, de-stress, meet people and learn something new, then you have come to the right place! Villari’s Martial Arts Cooperative is part of a nation-wide system of schools founded by Grandmaster Fredrick J Villari in 1968. Master Mary Murphy Edwards (7th degree black belt) ran a school in Montreal, Canada where she taught classes in English and French from 1985-1989. In 1989 she opened the Madison school at 532 State Street. Master Murphy specialized in T’ai Chi, which she taught extensively for years at Teff Chiropractic for adults with limited mobility. In 1999 she designed our popular Master Kickboxing program, which takes the fighting principles of Shaolin Kempo Karate and applies them in a fun, high-intensity cardio workout. Our program was the first in the Madison area to combine the best of cardio kickboxing and actual martial arts, and continues to evolve with new fitness research and trends. In 2007 Master Murphy moved from Madison and her daughter, Ali Treviño-Murphy (4th degree black belt), took her place as manager and chief instructor of the school. Ali teaches our SAFE—Women’s Self Defense classes, which she designed collaboratively with Master Murphy. 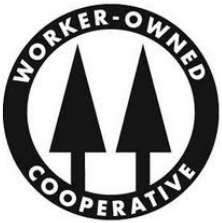 In 2012, we transitioned to cooperative ownership and management. Master Murphy has since moved back to Madison, and is now the director of our Shaolin Kempo Karate program. Ali Treviño-Murphy continues to teach SAFE, in addition to being our youth martial arts director. We are also extremely fortunate to have Emily Baer (1st degree black belt) as the director of our kickboxing program.